Dr. Chelvapilla Gunupati graduated the medical school from the Andhra Medical College NTR. He did his internship at the Georgetown University Hospital-Washington Hospital Center and completed two residency programs: one at the Timken Mercy Medical Center and the other at the New York University Downtown Hospital. A fellowship followed at the White Memorial Medical Center soon after that. He is specialized in thoracic & cardiac surgery and board certified in general surgery and also in thoracic and cardiac surgery. 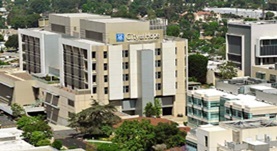 Dr. Gunupati has been in practice for more than 20 years and is affiliated with the City of Hope Duarte-Comprehensive Cancer Center.